Genuine Fender® American Deluxe / Ultra / Elite / Professional Strat® tremolo arm retaining clip. 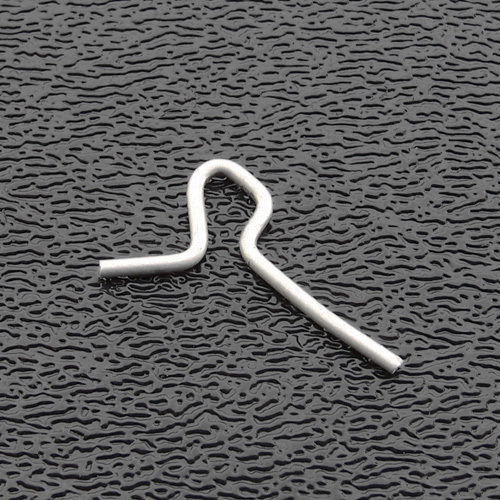 This clip installs in tremolo block and allows the push-in tremolo arm to lock into place. Bulk packaged. American Deluxe / Ultra / Elite / Professional Strat® Tremolo Block: 003-6530-000. Top plate mounting screws: 268-758-3071. Tremolo arm nylon bushing: 003-6614-000. Tremolo arm tensioning set screws: 003-6615-049.